Modeled in Blender 2.45 and rendered with Indigo 0.09 test 7. Not perfect, but it was a great learning exercise for someone relatively new to 3d art. I realize that there is much room for improvement, but I am basically sick of looking at it - time to move on to something new. Veeeery nive, looks like it could be a promotional photo for the drink. I cant put my finger on why it doesn’t look quite real, maybe it needs a touch of DOF. But I’m guessing it took forever to render with indigo, so go for post-pro. Most of that stuff is pretty much optional, but sharpening it had a definite positive effect. EDIT: Just read you want to move on to something new… in that case I strongly suggest coming back to this in the future! The whiskey should be more clear. As far as I remember (don’t have a whiskey here at the moment ) you can see through whiskey. If you could post your Blender file so we could see how you did it would be nice. If not… that’s understandable. Very Nice glass shading. It looks real. It doesn’t look like you’ve taken enough whiskey from that bottle to fill that glass. Nice image, though. I think it would look good in your portfolio. 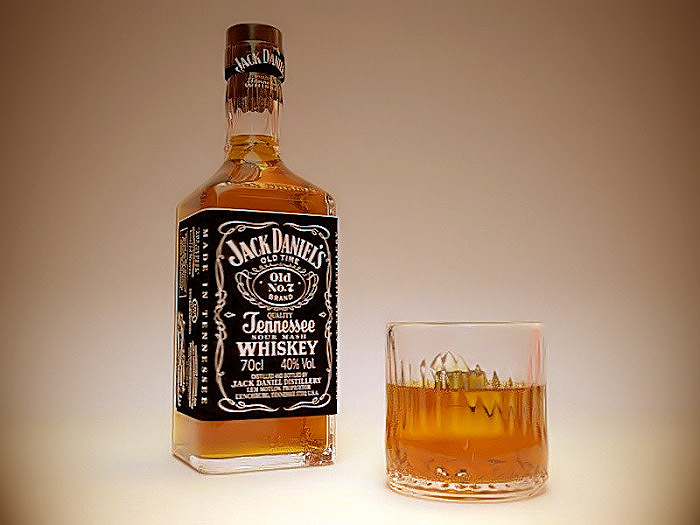 My crit would be that the glas look to soft and that the whiskey is murky and not clear. That might be the light spooking around though. Otherwise it is a rather good execution, but you score zero points in creativity for this concept. Add a can of coke and i’ll have a double, please. Nice realistic render. i do feel that Blenditall’s edit enhances the image a great deal. “Not perfect” ? … pretty perfect looking to me! Great render pal! Especially you being new to 3d, really good!